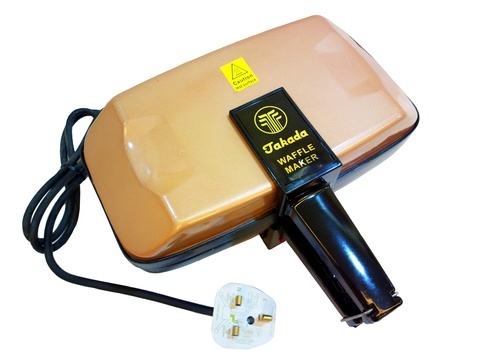 Enjoy an aromatic crispy on the outside, soft and fluffy on the inside waffles in the comfort of your own kitchen at only a fraction of the cost. With a long list of possible recipes and combination, waffles can be eaten for breakfast or served in combination of ice cream & syrup dessert! 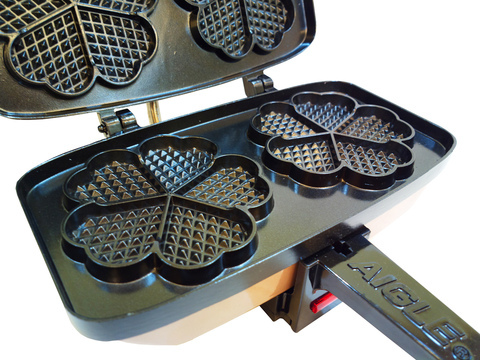 Circular 5 leaf clover waffles can be divided into 5 individual heart shaped slices for added creativity options. 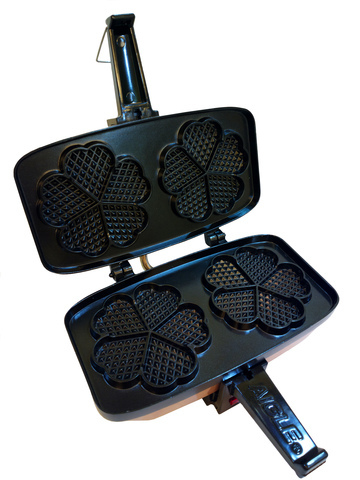 Non-stick PTFE coated surface requires only little amount of sprinkled oil. Alternatively may also swap oil for healthier margarine or butter. Stainless steel body proves to be easy to clean after cooking sessions.